A congressman is calling on the U.S. attorney general to investigate possible "corruption" and "market malfeasance" at global entertainment giant Live Nation after a recent CBC/Toronto Star report exposed a secret partnership between the company's Ticketmaster division and scalpers. Bill Pascrell, a Democrat from New Jersey, cited the revelations from the CBC reporting in a letter sent to Attorney General Jeff Sessions on Friday. The letter asks for the Justice Department to conduct a "thorough investigation of anti-competitive behaviour by monopolistic Ticketmaster to root out speculation and anti-consumer behaviour in the opaque ticket marketplace." 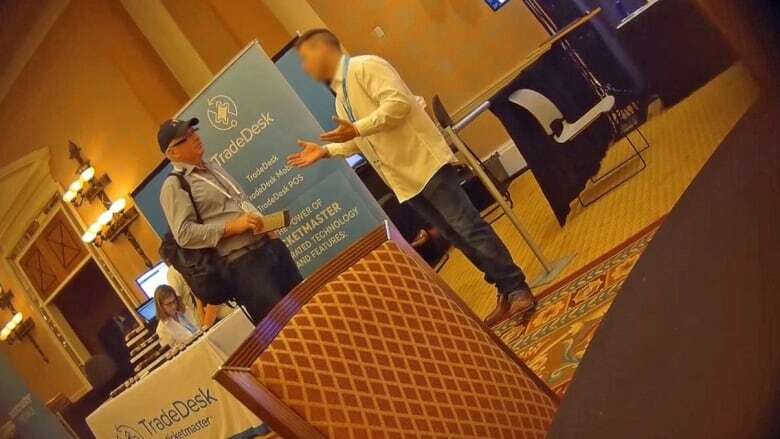 Back in July, CBC News and the Toronto Star sent a pair of reporters undercover to a ticket industry convention at Caesars Palace in Las Vegas. Posing as scalpers and equipped with hidden cameras, they learned first-hand how Ticketmaster's resale division recruits scalpers by pitching them on custom software called TradeDesk. The program helps scalpers resell large quantities of tickets quickly and efficiently. The footage shows a Ticketmaster employee admitting to turning a blind eye to scalpers who use multiple accounts and other tricks to violate the company's own ticket-buying limits. If a ticket is resold on Ticketmaster, the company collects fees a second time on the same ticket. 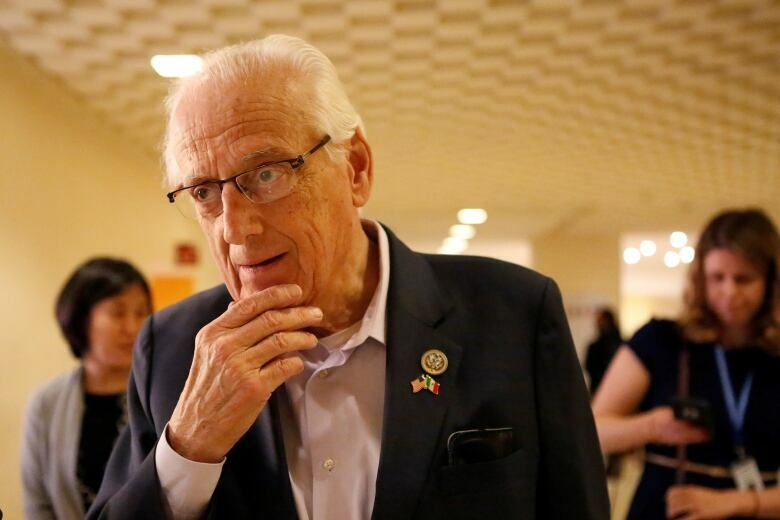 "This should be illegal," Pascrell told CBC News last month after viewing the footage. "The secondary market is corrupt right now and it's only going to get worse." After the report was published, the U.S. Senate's consumer protection committee demanded to know more about Ticketmaster's "professional reseller program" and TradeDesk. It gave Live Nation CEO Michael Rapino until 5 p.m. Friday to reply. Instead, Rapino had his deputy, Jared Smith, president of the Ticketmaster division, deliver senators a four-page letter. In the letter, Smith explained how Ticketmaster tries to stop scalpers from using ticket-buying software, blocking an average of five billion purchases by bots every month. He also said the company's experiments with new paperless technologies including "Ticketmaster Presence" and "Verified Fan" may hold the key to stamping out speculation in the world of rapidly transferable electronic tickets. "We do not have any tools or programs — not TradeDesk nor anything else — that would allow users to circumvent ticket purchasing limits, buy tickets in bulk, or otherwise gain an advantage over other fans," Smith said. The CBC report never suggested TradeDesk is used to help scalpers buy tickets, only to quickly list tickets for resale on Ticketmaster and other sites, and to easily adjust the prices of those tickets. But during the conference in Las Vegas, a Ticketmaster Resale employee did tell the undercover reporters that "damn near every one" of his clients has multiple Ticketmaster accounts to circumvent ticket-buying limits, and that he works with one scalper who has 200 accounts. "You're not going to make a living [selling] six or eight tickets," the employee said, unaware he was being recorded. In a subsequent statement, Ticketmaster said that even before the publication of the CBC story, it had already begun an internal review of professional reseller accounts and employee practices. On Thursday, the U.S. Federal Trade Commission (FTC) announced it will hold a public workshop in early 2019 to "shed light on the industry-wide advertising and pricing issues, and explore ways to address deception beyond traditional law enforcement." Within hours of the announcement, Live Nation released a statement saying, "To be clear, this is an industry wide workshop — not a probe." The company said it "looks forward" to participating in the process. Live Nation's stock also had a volatile week, closing down $2.60 per share, or 4.73 per cent. Canadian Innovation Minister Navdeep Bains told CBC last week he has personally called the head of this country's Competition Bureau to convey his concerns and was assured the agency is examining whether Live Nation/Ticketmaster's scalper program breaks any Canadian laws. Live Nation is also facing four potential class-action lawsuits. The company has not responded to CBC's requests for comment on this week's developments.